Homespun Stitchworks..... For the love of vintage: Embroidery Flower with braided chain stitch by Handiworks ...... such a great tutorial. 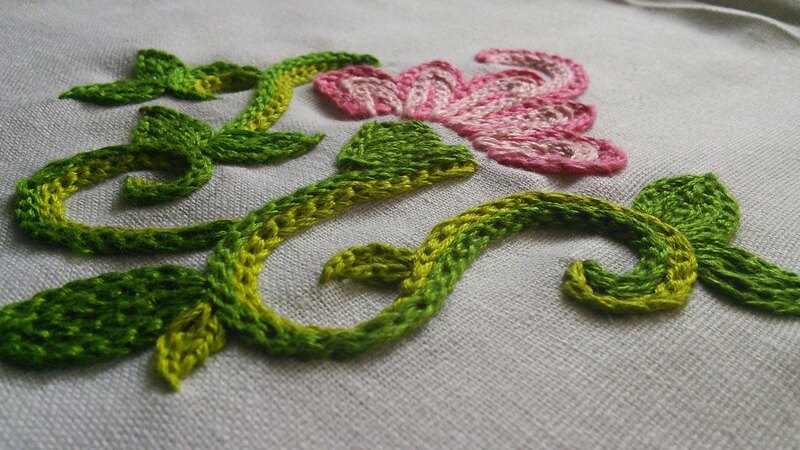 Embroidery Flower with braided chain stitch by Handiworks ...... such a great tutorial. This is such an unusual way of chain stitching but look at the results for filling in flowers and stems. This reminds me of some of the work that I saw at the Victoria & Albert museum in the Asian section and it has influenced me with some sketching that I have been playing with. I will talk more about that when I get my few days to design. Wandering around this section of stunning fabrics and taking photos has given me some lovely ideas to design some things of my own. Hope you all have the most lovely weekend and see you here on Monday. Glad you like Mo .. I was enthralled ..